Photographs from the West of Ireland; mainly pictures of Galway (City & county), Mayo, Clare though, every so often, a picture from Limerick or Leitrim sneaks in too. Most people go to Nimmo's Pier to feed the swans and the ducks. 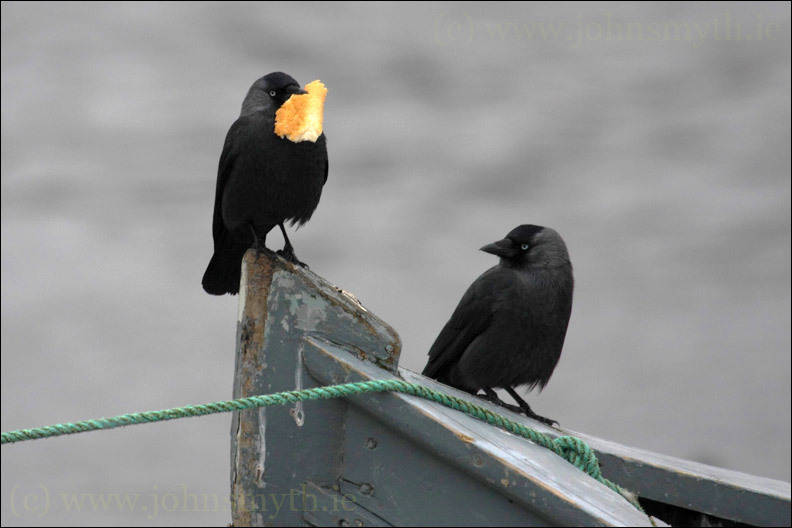 But there are always plenty of scavengers there to lend a beak or two, like these two Jackdaws. There are times when I wonder if we're are living in a modern city at all. Yet another water outage occurred on Friday on Galway's Westside - due to a burst pipe, apparently [and suspiciously close to nearby roadworks]. Between power outages and a clapped-out water supply, there are times when one's patience runs thin with some of Galway's raggedy-arsed 'charm'. On the plus side [for me, at least], the onset of Spring means that I get to travel to work [well, travel to the train station] in daylight - around 6.45am every morning. It's not a bad trip either - along Salthill Prom, down by South Park and the Claddagh and then over Wolfe Tone bridge and past the Spanish Arch. These mornings, there's usually a few swans flying in formation along the path of the river, and there's nothing quite like a group of swans in flight. I just wanted to drop you a quick note to say how much I like seeing your pictures and reading your words. I can't tell you how much I would love to take that train trip myself. Outstanding work & thanks for taking the time to share it with us! All the best. i love these pictures. 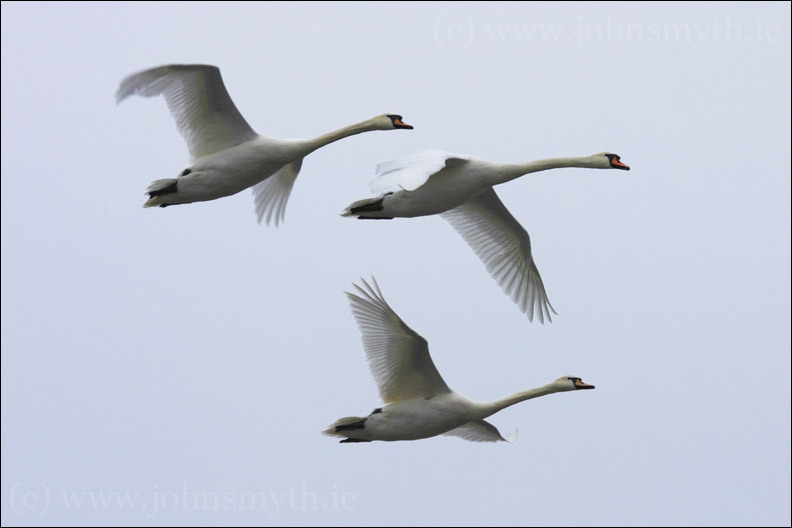 it's been about five years now since i've been to galway and walked down to the claddagh and seen perhaps the parents of these very swans... i love your photos.